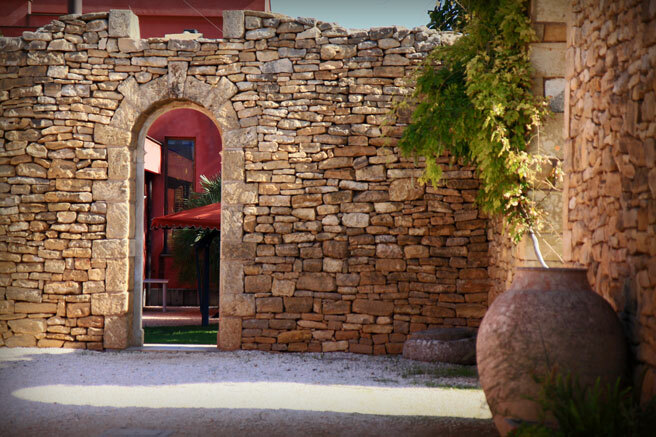 The sun made the stones and the earth glow in hot brilliant gold tones all the way though the olive groves. The sky's reflection in the spring fed pond at the house contrasted against the deep red structure in a way that made me understand a truth about color and light. I hung back, I wanted to remember that moment. This kept happening again and again here. When I ran to catch up, Gabriella Becchina had met the group at the front door. She was extending her welcome. She urged us to make ourselves at home. We were ushered to the kitchen and to the terrace where we washed away that morning's grime from the ruins at Segesta in an enormous stone sink. 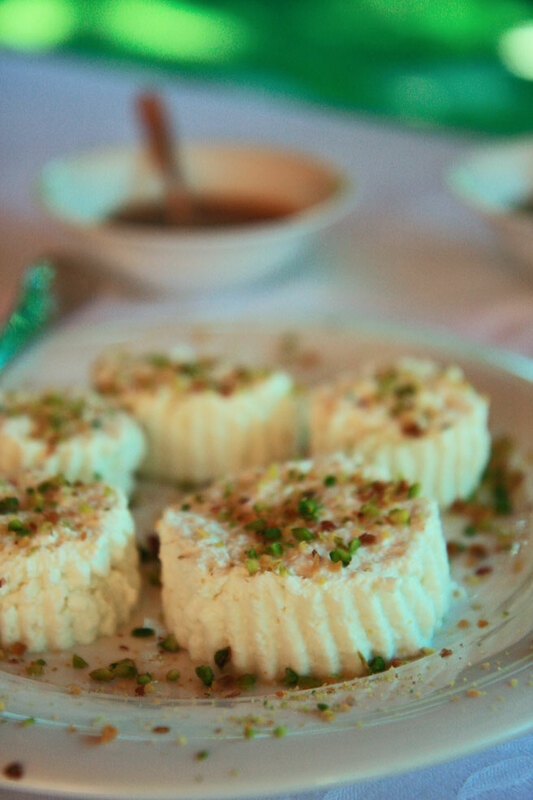 Her assistant was prepared to guide us through three local dishes, the theme: Olive Oil. 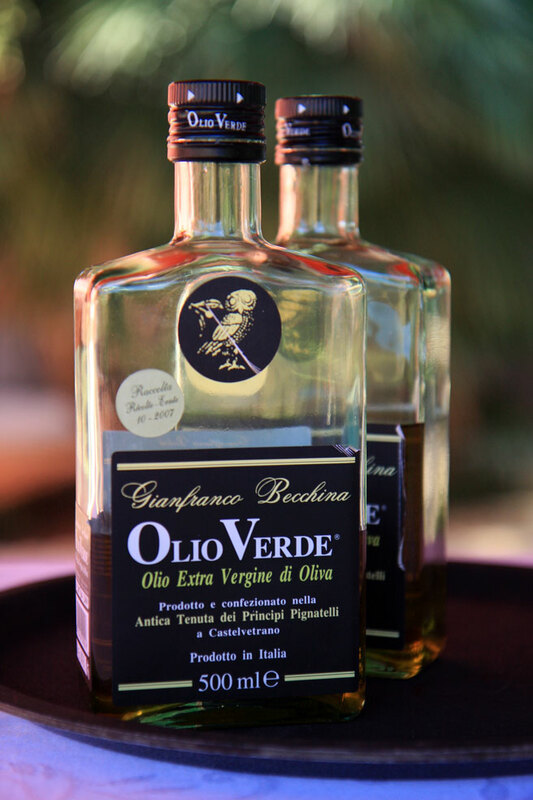 Not just any olive oil, but the oil produced right there, a fruity, light tasting flavorful oil they call Olio Verde. Funny little owl on the bottle. Isn't it? I bet it has a story. There's nothing like discovering a beautiful artisanal product at its source, where you can see for yourself the devotion coming through everywhere, from the working kitchen to the garden to noting the care taken with each and every individual tree as you stroll through the groves. 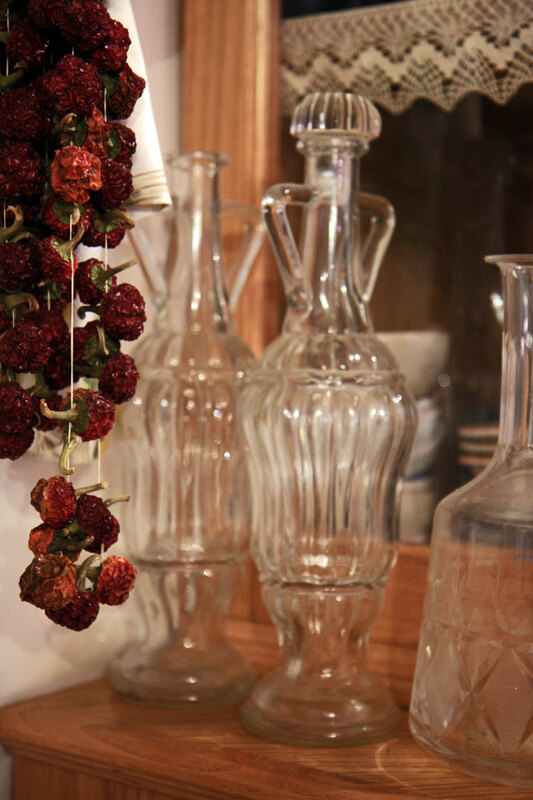 Other fruits are interspersed in between the olive trees, and when we visited, pomegranates swelled ripe, oranges hung like decorations, and prickly pears glowed red. Lemons hung like pendulums, from which Gabriella makes her own gorgeous sweet lemon spread that she sells in little jars for tartines or use in pastry. When I look around, I repeat the word. Devotion. And from this little olive oil production to the care taken in the cooking, I can easily follow its themes. Gabriella speaks with an interesting lilt in her English, not quite an accent but something that indicates she perhaps speaks many languages, English not being her first. 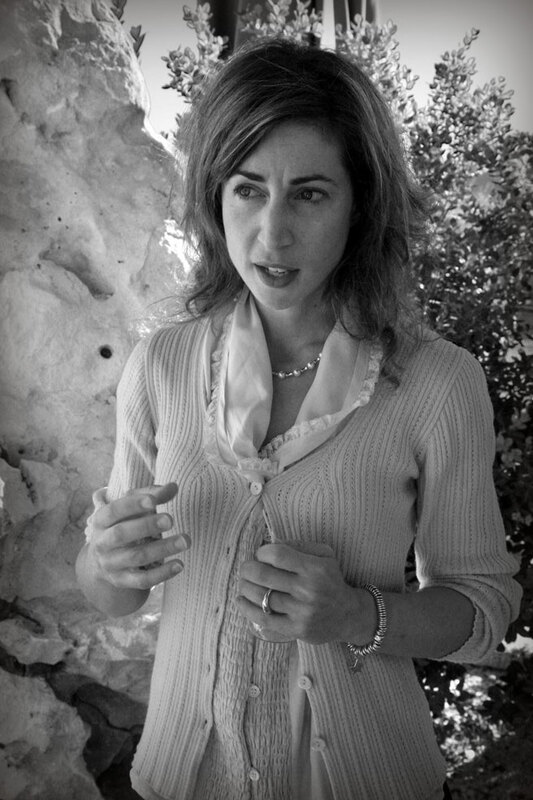 Schooled in Switzerland and then at Columbia University where she earned her PhD in Art History, she came to the family home in Sicily seven years ago with her mind set to archeological restoration on the estate. She was also drawn into the family's activity of oil production, which clearly is her calling. 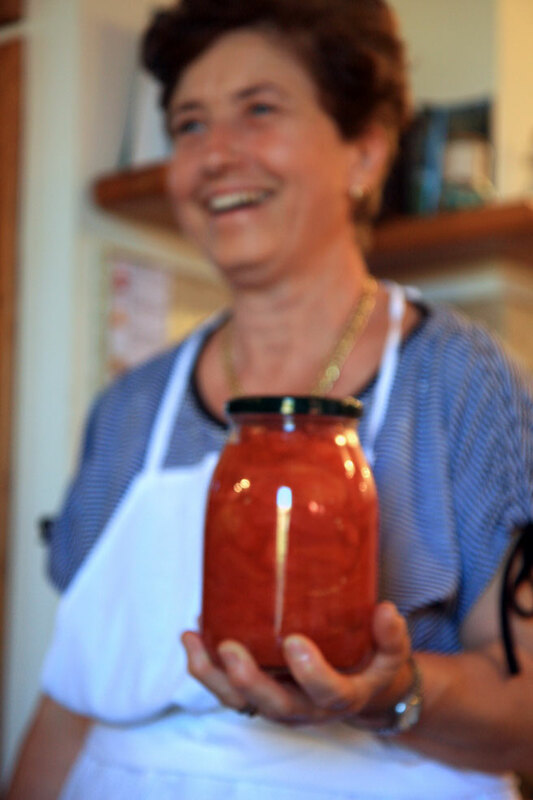 Gabriella tells us one of her father's stories, a memory, of a cold November day when her grandfather is taking the family crop of olives to be pressed. Everyone harvested then late in the season, and there was only one press in the town. While all of the local olive producers waited in line for days with their rapidly fermenting olives, her father nestled himself between the sacks of fermenting olives to get warm. 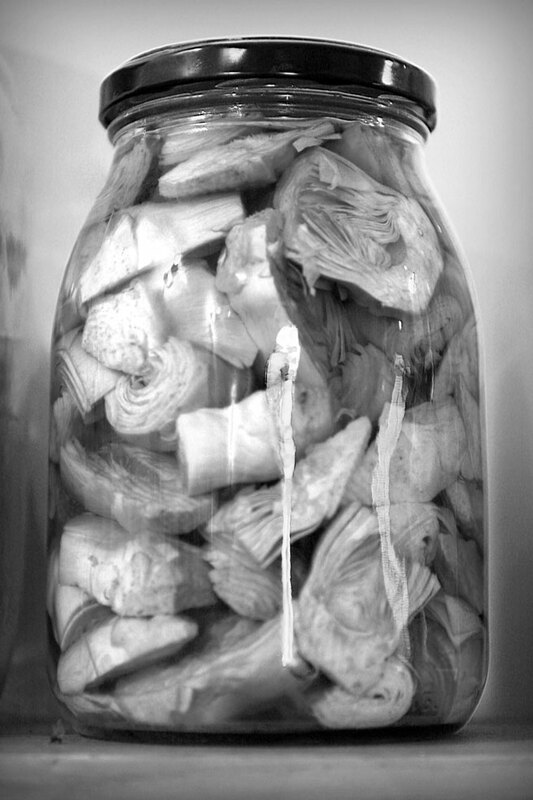 They steamed from the fermentation, and produced an unforgettable smell. A child could warm his body that way, and in doing so a lasting image is imprinted that he shares with his daughter. What kind of oil does a fermented olive yield? Heavy, bitter oil with a greasy taste. Ripe black olives will yield more oil, so most olive oil producers choose to harvest late, and this is the way of production that most of us know from our early memories of imported oil. The white stage, which lasts only 2 weeks each year, and green gold from harvest at the right time. Today, the Becchina's approach to production is different, with an impeccable eye for flavor and quality. 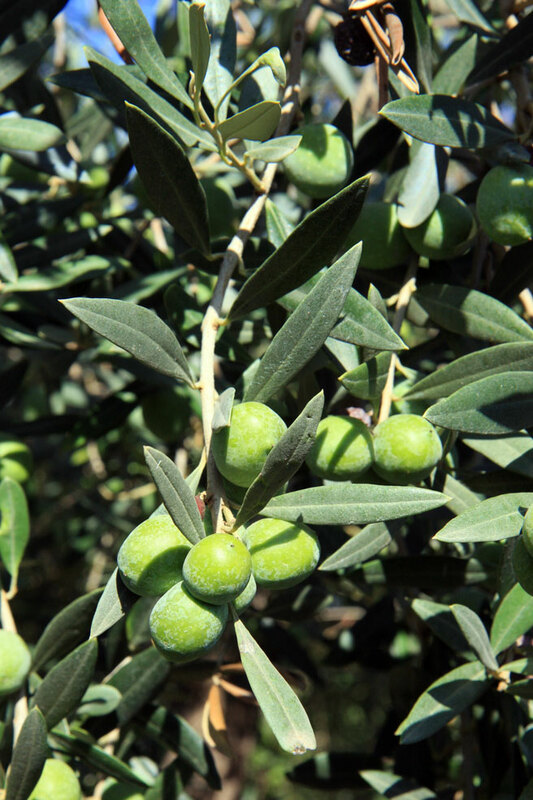 They harvest carefully selected olives green for optimum taste in their olive oil, not maximum yield. They pick the olives still green only by hand during a two week window that Gabriella tells us is the "white stage" of maturity, a time when the olives develop a natural white film on them (reminding me of grapes, plums, and quince), when they are just about to ripen, and long before any kind of fermentation will take place. They press the oil immediately, so that heavy greasy bitter flavor never comes into the oil at all. 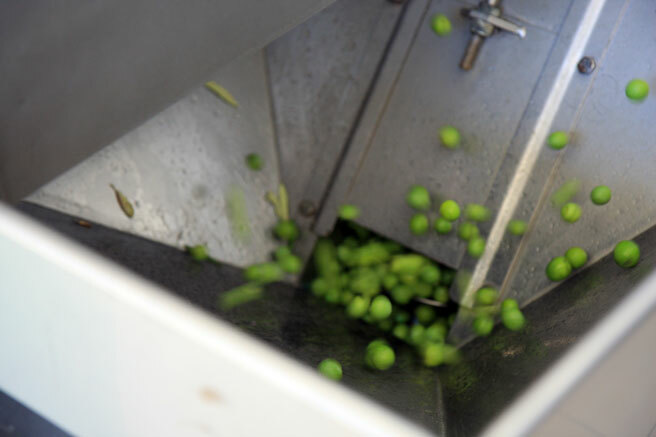 Early harvest and immediate pressing makes this the lightest, purest, most beautifully flavored oil. The Becchinas don't use raking tools or shaking to remove the olives from the trees, which would damage the fruit and cause it to ferment. All of their olives are hand picked, and the process of removing the leaves is labor intensive, something that not all olive oil producers do. 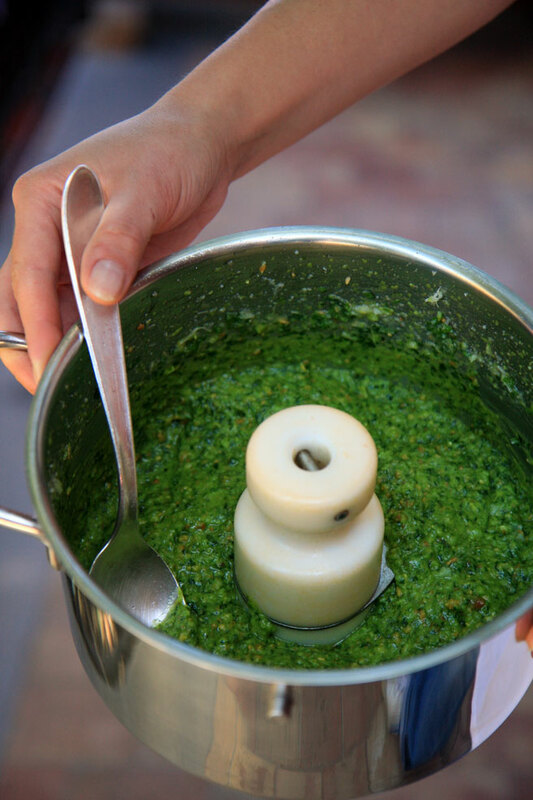 While the leaves add a green color to fermented oil, they add an acrid tone to the flavor from the added chlorophyll. The Becchinas carefully pick them out for a better flavor. 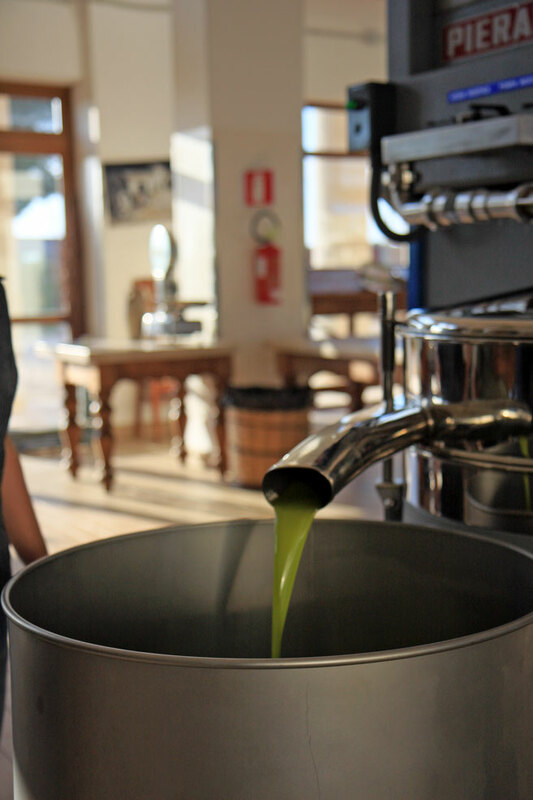 The green color of the Becchina family oil comes from the unfermented olives themselves. They do not filter the oil, simply letting it settle before bottling. Devotion, and attention to detail. This is what makes this oil, this process, unique. Ingredients for success, wouldn't you agree? Take note of the backsplash tiles. They will be coming up again. 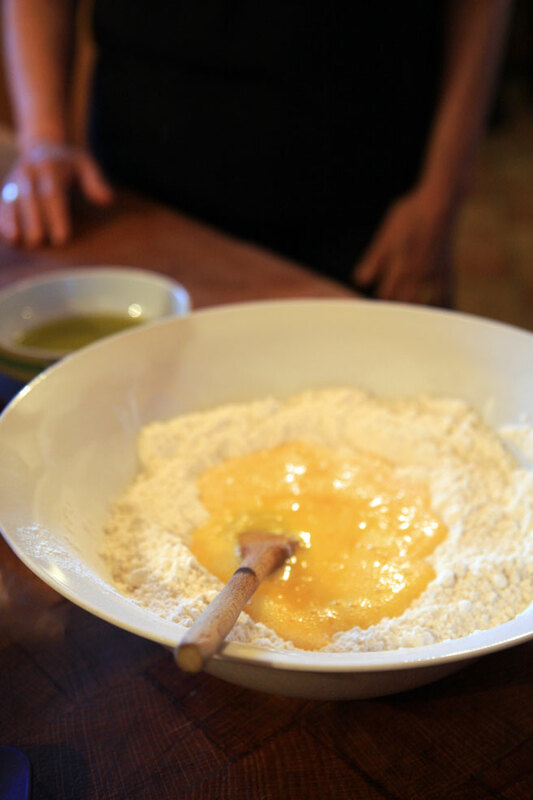 The cooking class entailed preparation of three dishes, all of which featured the house olive oil. 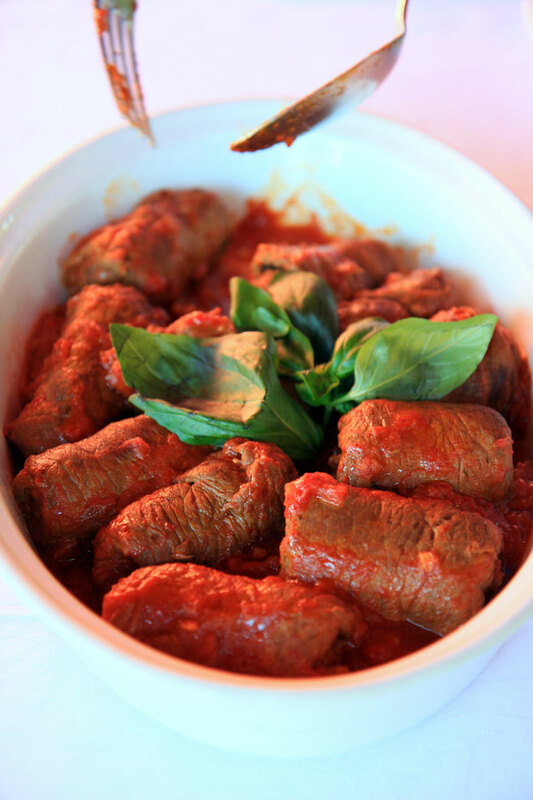 We did stuffed beef rolls, or involtini di manzo, Becchina's family recipe for a pesto verde, a fresh basil pesto featuring almonds which had been previously peeled and fried in the house olive oil. 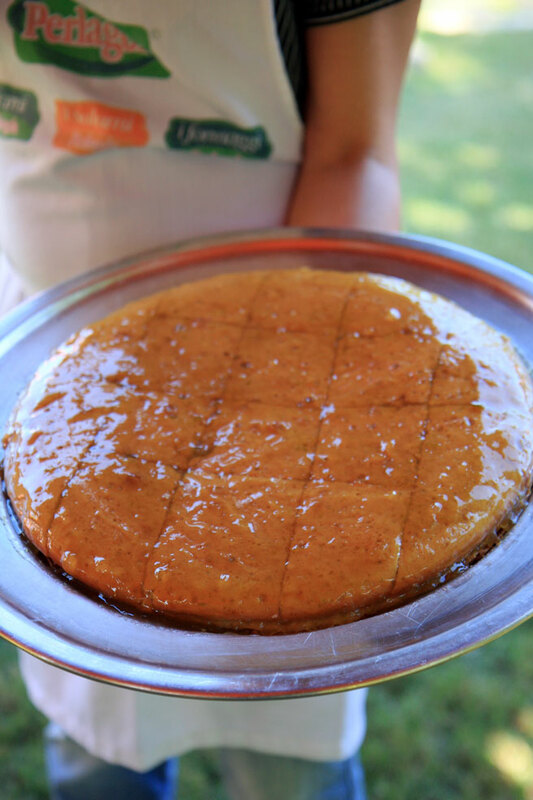 Finally we did a citrus flavored olive oil cake using the house olive oil. All were delicious and we enjoyed a wonderful meal. 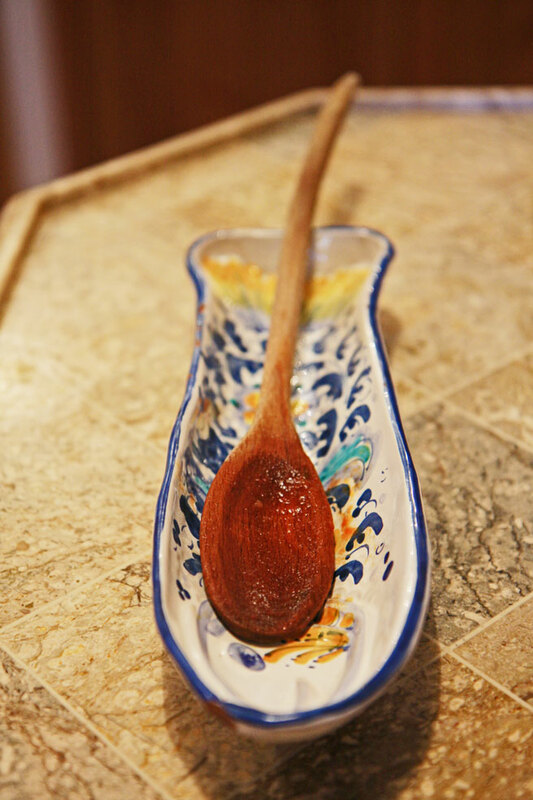 Next post you get the recipe for involtini di manzo using this oil with a step by step. 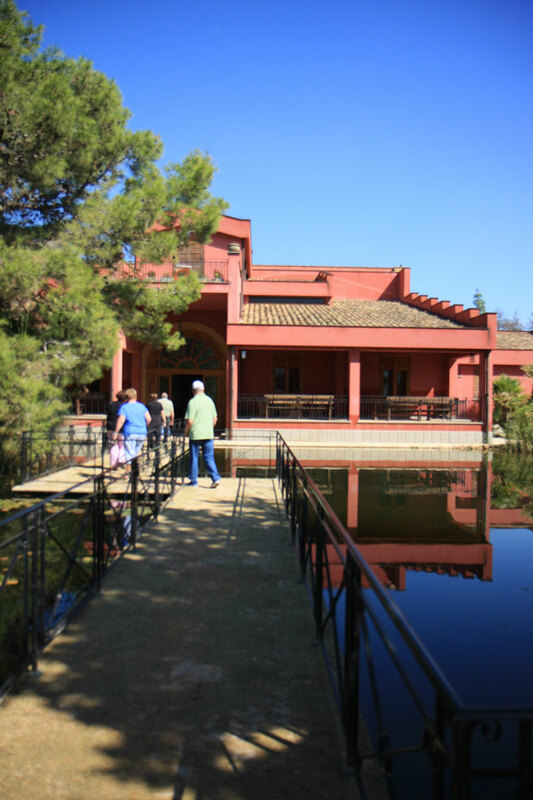 The Becchina family estate has rooms where people can stay at the olive plantation, with room and board, meals consisting of products from their farm and groves. They also have a place at the beach with rooms available. I don't know how much it costs, but you can contact them to find out. Their oil is shipped fresh off the press to a number of locations in North America, Europe, and Asia. Watch for it! Check their website to find out where you can buy Olio Verde. Thank you Judy, for taking us on this journey. I will remember it always. 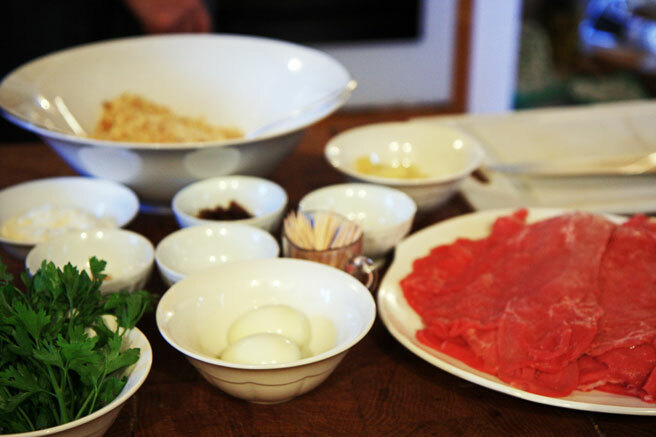 Coming up next, details on the beef rolls! I was so excited to see your post on the Becchina estate. You can purchase Olio Verde at www.olio2go.com and the Novello oil should be in the U.S. in early December. You should consider writing a book ( maybe you already have), this is wonderful stuff. You are a gifted story teller and photographer. I almost felt like I was there. Yes, a book from you would be a treasure I am sure. Thanks for sharing your journey. Since I discovered this wonderful blog two years ago, I have been convinced Lucy has a book in her. Or two. Or more. It is simply a matter of time. Oh, Lucy, this is all wonderful! I am new to your blog, and love the post on this estate. 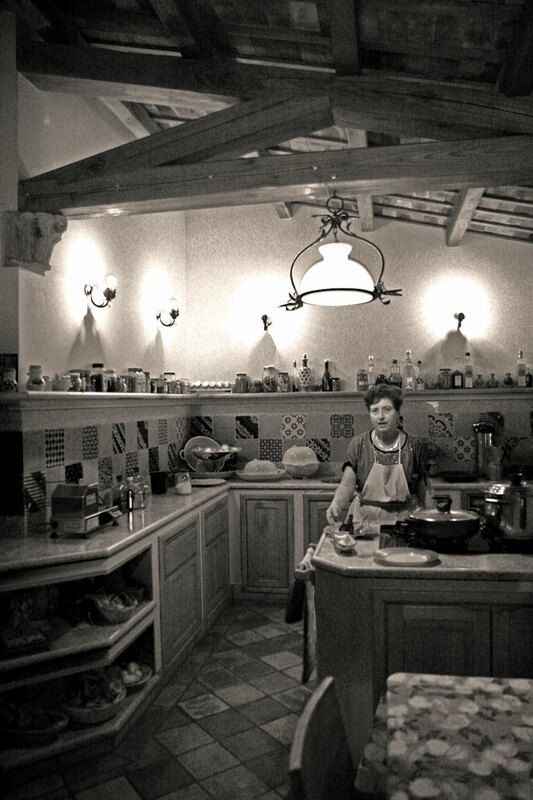 It makes me long to live in Italy and cook all day. I will order the olive oil from the website. That olive oil cake is my favorite! I have been quite entralled by your sicily notebook and photographs. 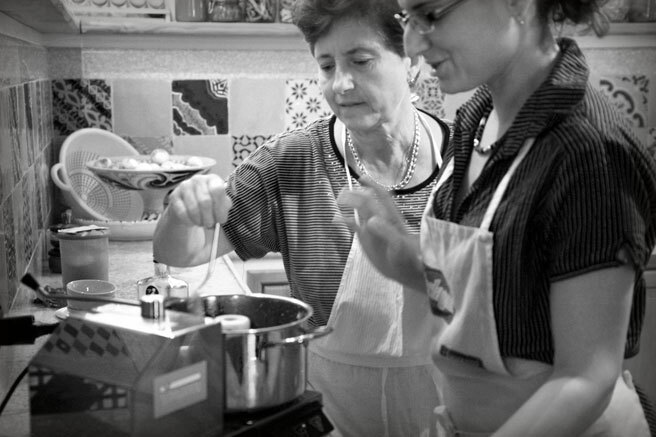 Yes, Becchina olive oil, ambrosia, we bring it back to Rome when we visit Vincenzo's family in Sicily. I look forward to your next post. 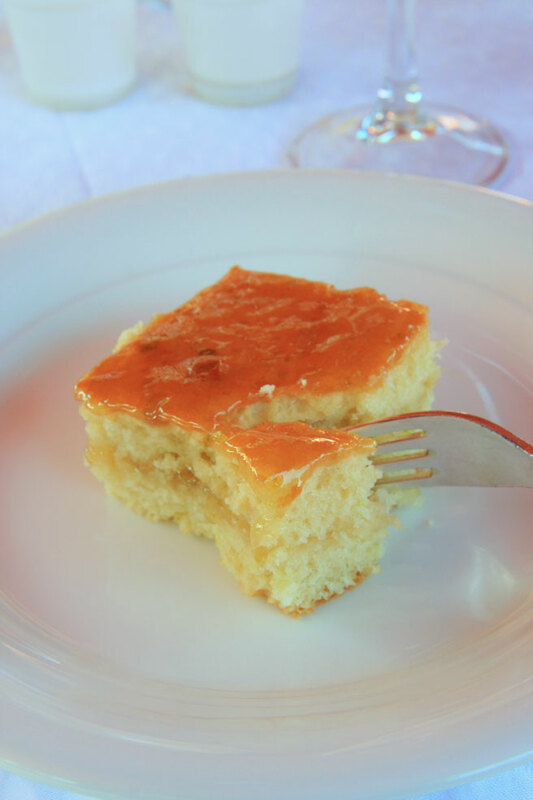 will you be noting the citrus flavored olive oil cake recipe for us too? I hope so. Alright friends, beef rolls coming up. We are totally overwhelmed by various activities going on here plus Loic is sick and needs chicken soup but I will find time early tomorrow morning to put it up. Lovely lovely post Lucy. By the way, the olive oil in the picture is one of my favorite. So flavorful. Hoping Loic gets better with your chicken soup. Congratulations on what you have growing there, Bea! You are going to be a great mother. The chicken soup went swimmingly and warmed more bellies that mine and Loic's, since our neighbor got locked out and then her husband came and had a bowl. My teenage son and I were tasting oils over the weekend. We both thought they were all too similar, and then one hit us at the same time--bam! It was so different, and so *good*, that at the same moment we both said, "that's the one!" Lucy - that is a great post! I love the Noccellara del Belice olives (we can get them here in San Francisco at Whole Foods) and linked your post to one I made: http://gastronomichael.blogspot.com/2009/01/castelvetrano-olives-nocellara-del.html. We were in Sicily in September but unfortunately did not have a chance to visit Castelvetrano - see http://jccwine.typepad.com/sicilia/. Actually I also just learned that Judy Witts Francini will be here in Sausalito teaching a cooking class next month at the new Cavallo Point center and hope to attend. Keep the posts coming!